Public Service Announcements (PSAs) can be an excellent way to raise awareness for a nonprofit organization — to help bring their mission to life and drive intended actions to help support a cause. Although PSAs have been around since World War II and have been a tactical public relations mainstay for decades, the methods of distribution and best practices for PSAs have definitely evolved over the years. In the past, the Federal Communications Commission (FCC) mandated that television stations allocate a set amount of time for public service programming, but this is no longer the case. Today, competition for attention can be fierce. 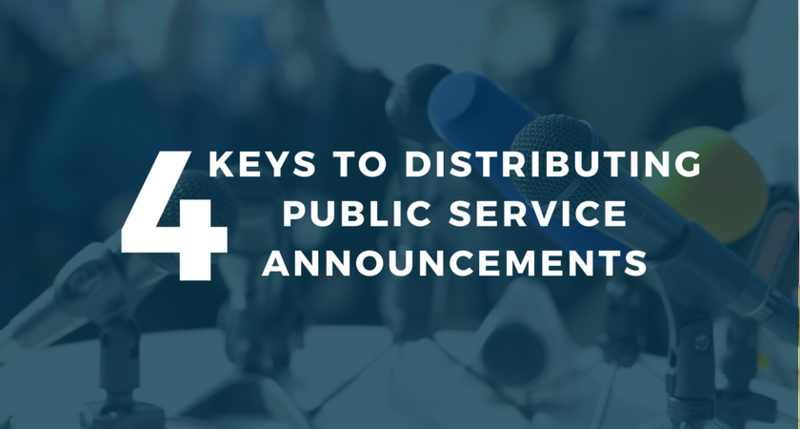 So, in addition to producing the most creative, compelling public service announcement possible, you need a similarly smart distribution plan in mind. Perhaps the single most important thing to consider when planning for the distribution of any PSA is the demographic target most apt to be receptive to the message. For example, a PSA from a national oncology organization about prostate cancer is obviously very different from a New England-based educational foundation PSA centered around the dangers of screen time for preschoolers. The scope, messaging and targeted audiences for these two PSA campaigns are distinct — therefore the distribution for each should also be unique. The real estate adage “location, location, location” is also relevant to PSA distribution. Although PSAs with national messaging are common, it is also important to consider geographic opportunities. Is the story you’re promoting more relevant to a particular region, state or city? For example, a pet rescue organization with the mission of increasing pet adoptions within driving distance to a metropolitan area may only desire to increase foot traffic into the shelter. Anytime a PSA is directly relevant to a particular state or DMA, it can improve the chances of broadcast outlets picking up and airing the content. Timing is everything. It can take weeks of lead time before broadcast outlets air a public service announcement. Though traditional PSA airings have a bit of lead time, they often run for an extended period of time. The typical lifecycle of a PSA is roughly one year; however, strong ones can air for even longer. Another consideration is how long an organization wants a message to be publicized. If the time period is finite, then you should always alert the media of any “end dates” for a campaign. When considering targeting for a PSA it is a good idea to dig deeper beyond simple demographics such as male or female. Try to envision the audience of a PSA in terms of a fully fleshed out, three-dimensional persona. Consider ages, occupations, hobbies, interests, leisure pursuits, entertainment preferences, retail destinations and more. All of these identifiers can help determine how PSA content is distributed and placed in order to reach a targeted audience. 4. How are PSAs Best Distributed? In the past, we relied solely on earned media pickup of public service announcements via local and national broadcasts. These days a more holistic distribution strategy that incorporates not just earned, but paid, owned and shared tactics across multiple channels is a better way to reach the intended audience and inspire them to action. For example, you might distribute a :30 second video PSA for earned television pickup, but also place a shorter, shareable version on social channels. Conversely, a longer version is appropriate for an organizations’ website. You may also develop audio versions for local and national radio. By varying the format and the channel, you create a better opportunity to reach your targeted audience. Something else to consider, especially with regards to more traditional, earned broadcast distribution of PSAs is how to physically deliver the content to the media you are targeting. In the past, PSAs were sent to TV stations exclusively via hard copy. Organizations would produce customized packaging that included scripts, logos, artwork and photos. Then the video would be mailed out to stations around the country. These days, some organizations still send out hard copies and some PSA Directors still prefer to receive content this way. 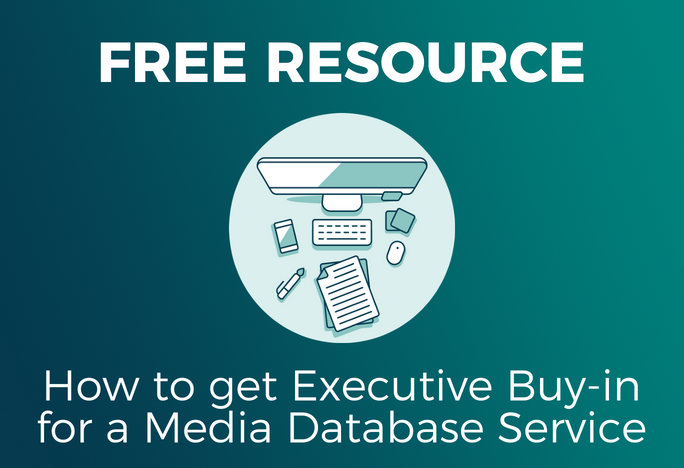 A professionally produced package for PSA can make a good first impression, however, many broadcasters prefer to only receive the content electronically via an easily downloadable file. In addition to the basic who/what/when/where/why — another important consideration for PSA distribution is — how much. A large-scale national distribution of a public service announcement can be a costly endeavor, but it doesn’t have to be. Distribution of a PSA should be customized and can be scalable for those with limited nonprofit budgets. Once the target audience is identified, and the preferred channels and methods of distribution are established, you can be assured that your message will be seen and heard by the right people. Alison Welz is the Executive Director of Strategy as well as oversees the media relations, distribution and broadcast analytics teams at MultiVu. She partners with agency clients and brands to develop their own, unique story and to help them to tell it across multiple channels and reach their target audiences. Alison is based in Austin, TX. Connect with her on LinkedIn.